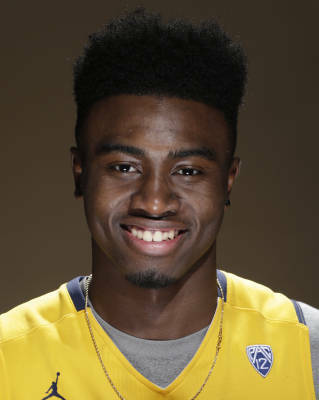 Strengths: Jaylen Brown already has the body of an NBA wing player. He is very physically mature and has NBA strength and athleticism. He is a real high-flier who finishes at the rim better than almost anyone in this freshman class and is extremely aggressive when attacking. Brown doesn’t settle for jumpers, choosing to attack the rim with force. He does not shy away from contact in any way and is comfortable driving with both hands in a straight line. His aggressiveness has led to him to practically live at the free throw line. Defensively, Brown is a potential stopper. He has great lateral quickness and keeps his man in front of him. His athleticism allows him to come up with blocks from the weakside and his quickness gets him into passing lanes to come up with steals and deflections. Overall, Brown is a physically gifted prospect who plays extremely hard on both ends of the floor every night. Weaknesses: First and foremost, Brown still has a lot of work to do with his perimeter game. He has improved the mechanics on his jumper, but has yet to see consistent results. It does look like something that will continue to improve with time, however. Brown also needs to work on his ballhandling. He is fine when attacking in a straight line, but he needs to improve his ability to change directions in order to create better shots for himself. While Brown is extremely aggressive, sometimes that can hurt him as he tries to do too much. With his ballhandling still a work in progress, Brown can sometimes force the issue, which leads to turnovers. Jaylen Brown Is a Straight BEAST! Athletic Wing Official Mixtape!